These cupcakes are now for sale to the highest bidder, 4 dozen of them. You pick the beer (or no beer is fine too) and I will deliver them anywhere within Los Angeles County, or you can pick them up. Why? Because, you see, there is this woman, a brave food writer, a mom, who is now a grieving widow. Do I know her? No, just through her posts and writings. But I know her girls, in a way. I was one of her girls once. I was once a little girl, who’s dad died suddenly. I was a girl with a grieving mom who couldn’t get out of bed. I was a girl who’s big sister taught her to make cereal on the kitchen floor because we wanted mom to sleep, because she didn’t do that too often anymore. I was a girl who didn’t go to the father daughter dance. I was a girl who walked down the isle on her wedding day alone. But Jen, if you read this, I want you to know that I am also a girl who is OK, I grew up to be happy, married a good man, have a little girl of my own and so did that sister who taught me to make breakfast early in the morning on a linoleum floor. Your girls will be OK too. They will cry, they will laugh, they will grieve and they will be OK.
“As you can imagine, Jennie is overwhelmed not only by her grief, and the sudden responsibility of raising two children by herself, but she is also struggling with this financially. She just learned that she cannot collect widow’s benefits from Social Security because she earns too much money each year. The health insurance for her and her kids runs out in December and she just learned that the total she will have to pay [for health insurance] will be even more than her mortgage. It’s possible she’ll have to pay off the entire mortgage in one lump sum because the apartment was in his name alone. I love beer. I love cupcakes. It’s only natural that I put these too together. 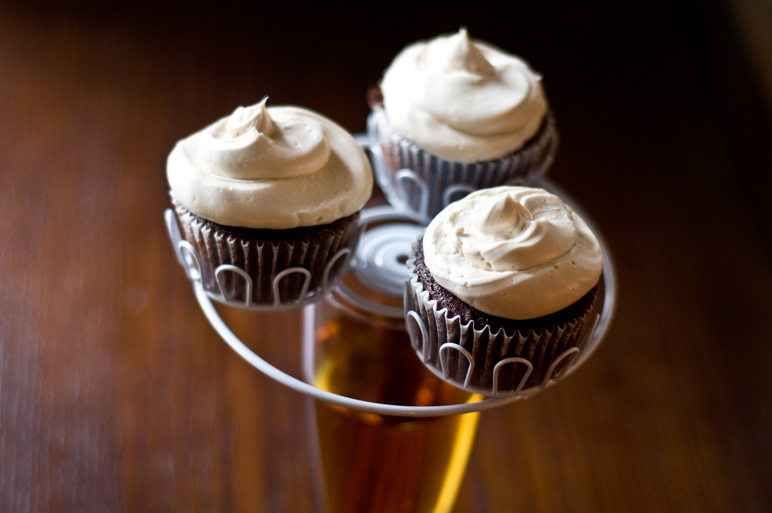 If you don’t like beer, this recipe can be made without and I have to say that brown sugar buttercream is amazing. SO amazing that I even called my sister to tell her about how much I love it and how I want to make a huge vat of it and swim around in it. If you want to make this without the beer, just use 1/2 cup of really hot water, add the brown sugar and stir until dissolved, then follow the rest of the recipe. In the bowl of stand mixer, combine the butter and sugar, and cream until combine. Add the eggs one at a time, blending well after each egg. Add the vanilla and mix again. In a separate bowl, add the flour, baking powder, baking soda, salt and cocoa powder. in another bowl, combine the milk, coffee and the oil. With the mixer on low, add the dry and wet ingredients a bit at a time alternating between the two. Line muffin tins with cupcake papers and fill each one with about 3/4 of the way full (about 1/4 a cup of batter). Bake for 18-22 minutes or until the cupcakes spring back when touched. Allow to cool completely before frosting. To make the frosting, put the beer in a sauce pan over high heat and allow to boil until reduced by half. I used a Firestone Pale Ale, microbrews are great for this recipe but IPA’s may be too hoppy and “light/lite” beers won’t have enough flavor. While the beer is still very hot, add the brown sugar and stir until completely dissolved. Allow to cool to room temperature. Again, for the non beer version, just add the brown sugar to 1/2 cup of super hot water and stir until dissolved. Microwave it if you need to. In the bowl of a stand mixer, cream the butter, salt and powdered sugar until combined. Add the beer/sugar mixture and mix slowly until mostly combined, then turn the mixer on high and then whip until the frosting is fluffy and well combined. I prefer these at room temperature, but they are still pretty great chilled. Beer and cupcakes sounds awesome!!! Great idea… beer and cupcakes… love it. Oooh great idea! 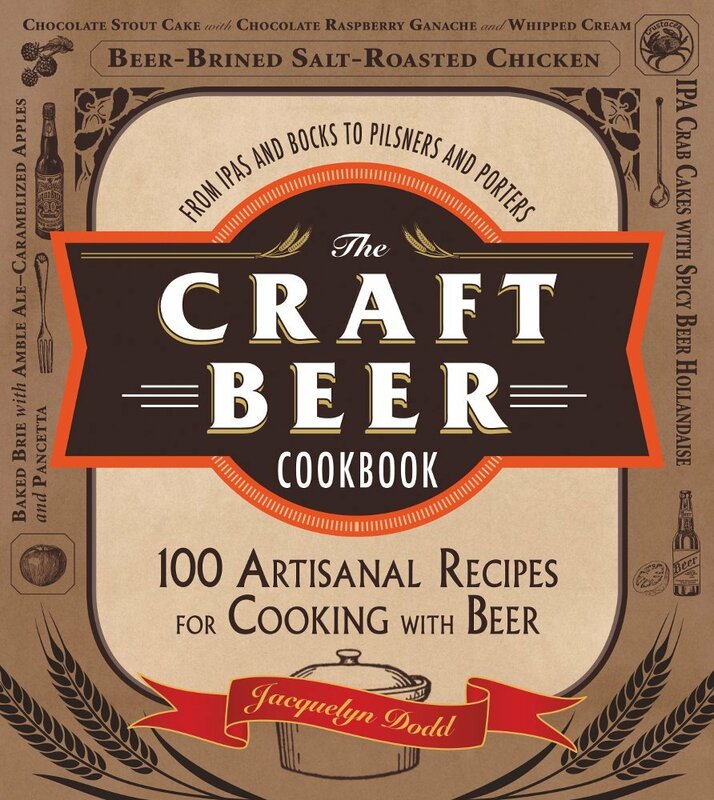 I am going to check out all the stuff- beer cupcakes sound great. Sasha, I’m so sorry about your Dad. It’s hard, there are good days and bad days and I guess all we can hope for is that we will have more good ones than bad ones. Good people, good fathers deserve to be grieved and remembered. Thank you so much for reading my post, I’m glad you enjoyed it. Hey there;) I WISH I lived in LA, I would bid. I think these are worth a lot more than $40 and I hope people bid a lot. The family sounds amazing, think I’ll just go donate. People who live in LA should share your post with their friends. Jackie, you are such a wonderful person. Thank you for sharing your story. I will start the bid for your cupcakes at $40. 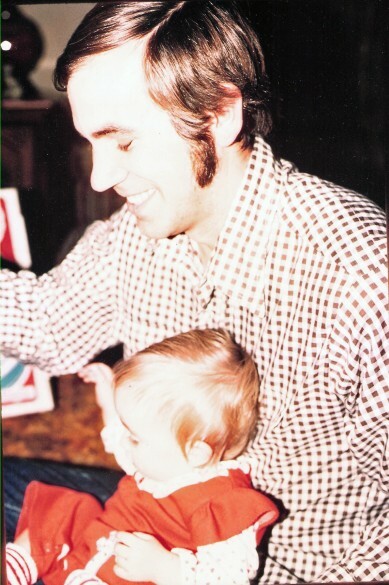 Awww what a cute photo if you and your dad..adorable! Your cupcakes look divine! Awesome post! I bid $50. If I win I would send them over to a client’s office with enough people to eat them all. Might suggest that others consider the same or have them delivered to your own office. Sounds like a great way to get in good with your clients or fellow employees! Awesome idea, Chris! I love it! I will bid $60. Who can resist? Cupcake goodness for my tummy and spiritual goodness for giving to a good cause. I too was a girl without a dad, who died of a heart attack at 36. I am oldest of four. I am too am fine. My mother was the best thing that God gave us. She was strong. We didn’t feel disadvantaged because she gave us abundance of love. The bid is at $100. It is now $125. Thank you so much Jamie! You are currently the high bidder at $125. Auction ends on September 5th. Also, I am open to making any cupcake & frosting flavor the winner wants. Customize as you wish. My sisters husband passed away from a heart attack 5 years ago at the age of 43. While they had no children together, his son was 10 years old at the time. Our hearts goes out to this young family. No one deserves to lose their parents so young. Especially when they don’t fully understand it at the time. And while we will fully never understand the devastation Jennie is feeling, we have seen from my sister that there is some light at the end of the tunnel. This family is in our thoughts an prayers! I’d pay $40 for the buttercream alone! Jackie, you are such a wonderful person. Beautiful pictures ! We can see that you have a wonderful family !Lots of LOVE and LIGHT to you and your baby !!! Your writing has inspired me to really rethink the way I write. Just saying thanks for your hard work.